Neil Young is a lover of music, and so he has embarked on a well-intentioned quest to improve the quality of digital music. His Pono player is based on a good understanding of the problems with digital music — but its prescription for a solution only half-way makes sense. As I discussed in a post last September, crappy music files are surely a scourge, but the solution is to advocate for a return to CD-quality audio, not for the absurdly high-rate audio proposed by Young and others. CD quality sound is based on science, and going higher-resolution scientifically doesn't make a difference. This isn't the fault of the player per se, but the whole idea behind the player is to provide a home for "Pono" files with soaring resolutions. There are other considerations that make hardware good, and we're not debating that Pono may or may not have these. 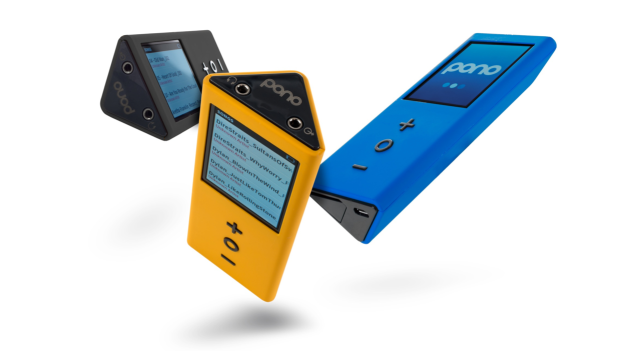 But like the high-resolution audio jargon we first heard about last year, there's something fundamentally misleading about the underlying ideas behind some of Pono's audio quality claims. Just read through the Kickstarter and look for science. Or let me save you the trouble: There isn't any. The benefits listed under the "audiophile" section of the FAQ are all about hardware — not about the sampling rate and bit depth.